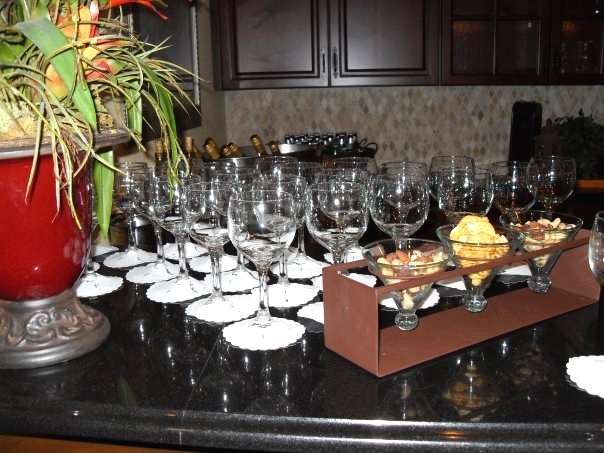 Magic Occasions Catering offers many options when it comes to stocking and staffing the bar at your event. From basic bartender services to full top-shelf bar packages, we can custom-build a bar package for any event and budget. Because we are a full-service catering company, we can offer a bit more flexibility for your event's bar. For this reason, we are not like the other companies that require to you pick from one of their predetermined packages. All of our bar packages are custom-designed with the individual client in mind. Whether you are looking for a simple beer & wine bar or something a bit more extravagant, contact us today and we'll put together a custom package just for you. From our mason jar punch packages to our top shelf selections, we'll craft the perfect bar for your event!